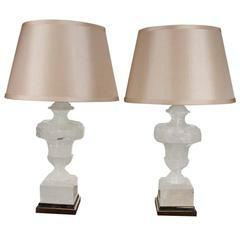 A pair of luxury white rock crystal quartz bulb lamps with polished brass bases, created by Phoenix Gallery, NYC. Each lamp installed two sockets. 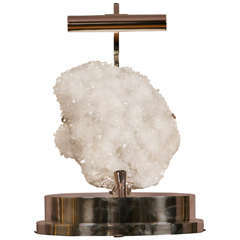 To the top of the rock crystal 17 inch. Lampshade not included. 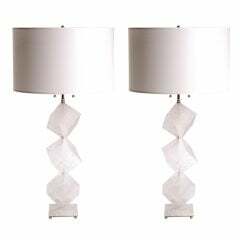 A pair of luxury white rock crystal quartz bulb lamps with polished brass bases, created by Phoenix Gallery, NYC. 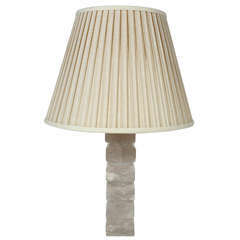 (Lampshade not included). 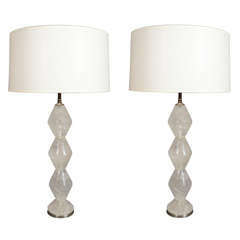 A pair of luxury white rock crystal quartz bulb lamps with polished brass bases, created by Phoenix Gallery, NYC. To the top of the rock crystal 17 inch Lampshade not included. 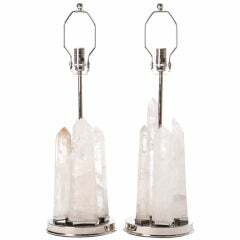 Pair of natural Amethyst rock crystal lamps with polish brass mount. Created by Phoenix gallery NYC. Pair of original brass and rock crystal orb lamps with rock crystal finials. Rock crystal orbs are handcut and polished. Solid brass frames and hardware. 100 W max wattage.